I always prefer to be an optimist, but the reality is that anywhere you live, a calamity can strike. Hurricanes, Tornadoes, Blizzards, Terrorism, Earthquakes, Floods, Fire, and more. Mitigation efforts and improved Building Codes can assist in protecting structures. Many grants are available for consumers to use to retrofit their homes. Check out The Institute for Business and Home Safety (www.DisasterSafety.org) to find out how to obtain a "Fortified" designation which may be used to get a credit on your property coverage. There are many ways to reduce or eliminate risk. Insurance is available to protect your property from catastrophes. Check with your Trusted Choice Agent to find out your options. You can save money on your insurance by insuring your property correctly and making your property attractive to the insurance marketplace. Maintaining good credit, paying your bills on time, and maintaining your property will keep the insurance companies vying for your business. Your Trusted Choice agent can help you understand the risks you face, and provide you with options so you can decide on coverages and deductibles for the policy you choose. With a good agent and good insurance, you can sleep well at night knowing that you will be able to rebuild your home or business after the worst happens. 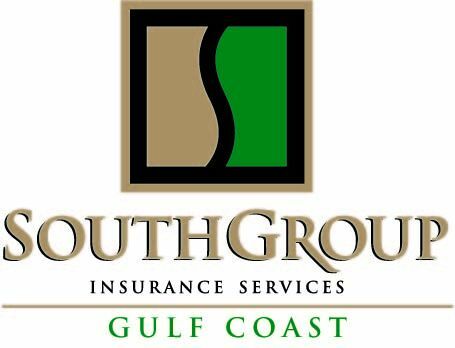 Your Trusted Choice Insurance Agent, SouthGroup Insurance Gulf Coast wants you to know you can call on us with your questions or concerns seeking more helpful advice or answers to your pressing insurance questions. A full insurance review is always your best bet to make sure you have all of the adequate coverage for your personal insurance needs. Remember, we offer a personalized insurance review to anyone who is interested at no charge – just visit any one of our 3 convenient coastal locations! We are your LOCAL Trusted Choice Advisors, SouthGroup-Gulf Coasthttp://www.southgroupgulfcoast.com , SALES AND SERVICE AGENTS: Angelyn Treutel Zeringue, Tammy Garfield, Tammy Hogue, Brittany Jones, Denise Russell, Melissa Moran, Alex Treutel, Anne Gillam, Ashlie Moody, Mark Strickland, and Whitney Zimmerman at SouthGroup Gulf Coast. You can reach us by snail-mail or in person: 412 Hwy 90, Suite 6, Bay St Louis MS 39520, email:info@southgropugulfcoast.com , phone: 228-466-4498 fax:888-415-8922, FaceBookwww.facebook.com/southgroup.gulfcoast, or Twitter www.twitter.com/atreutel ! We have 3 Gulf Coast locations to serve you - 2505 Pass Road - Biloxi, 5400 Indian Hill-Diamondhead, and 412 Hwy 90 Suite 6-Bay Saint Louis, MS. We write coverage in 40 different states and can assist you with Mississippi insurance, Louisiana insurance, and Alabama insurance and many other states. Insurance is stressful, but we make saving easy. We help you save money on insurance! What do you think about the economy?